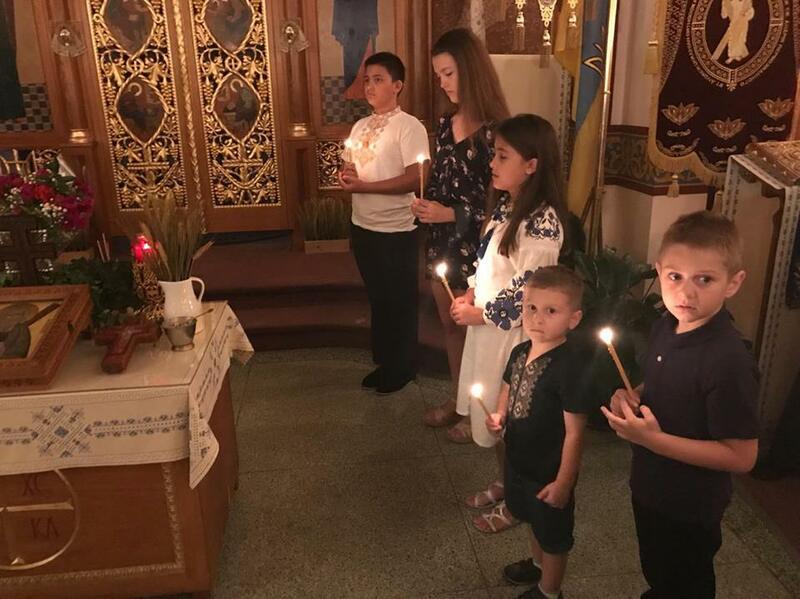 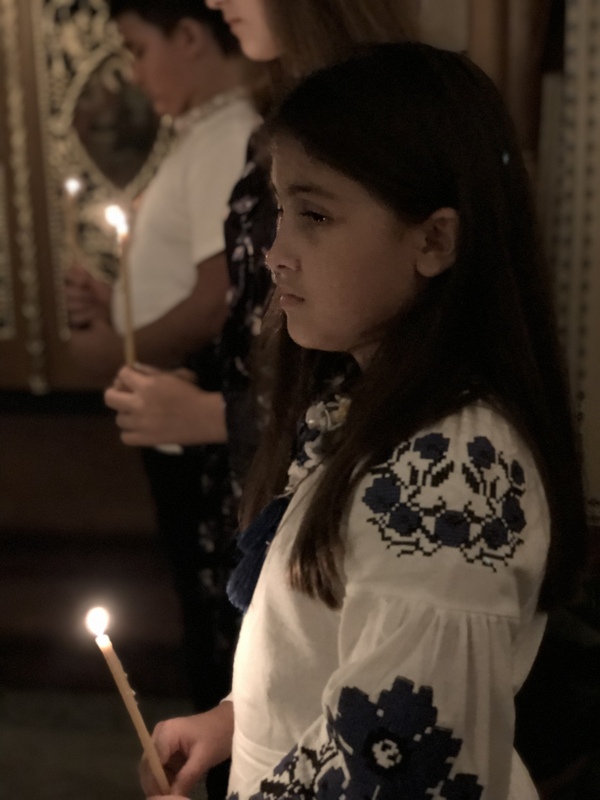 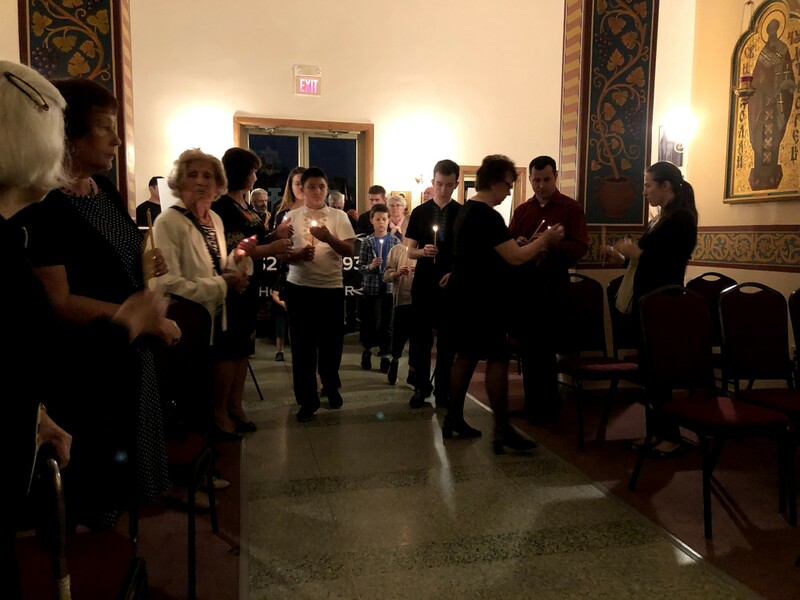 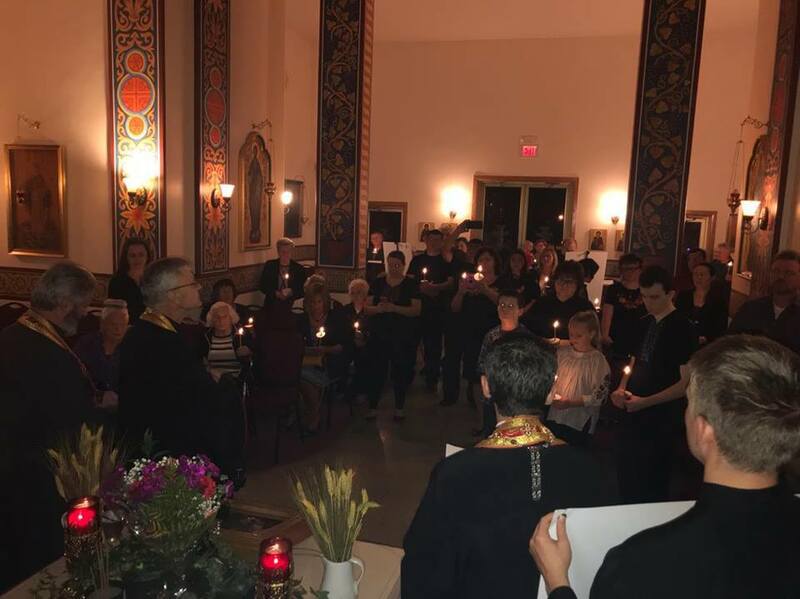 In the evening of Thursday, October 4th, the spiritual center of the Ukrainian Orthodox Church of the USA, located in South Bound Brook, NJ held a “CANDLE OF REMEMBRANCE” memorial event. 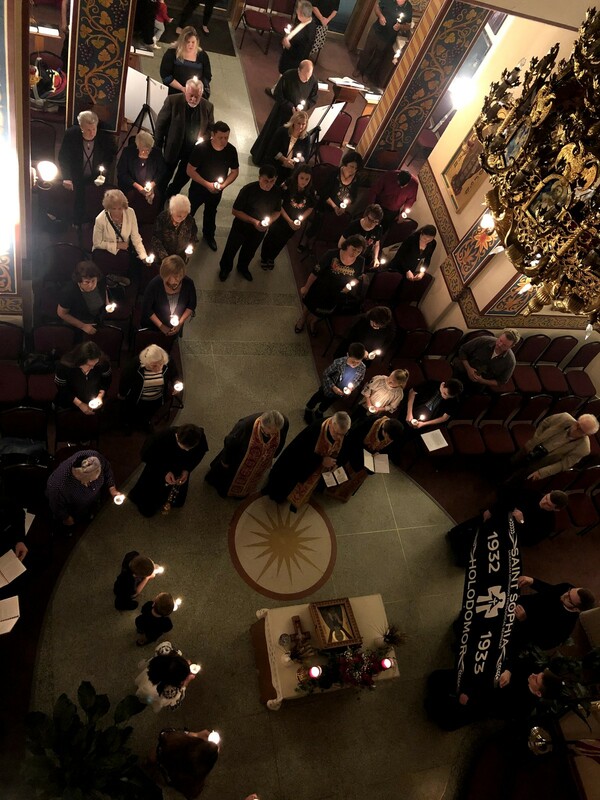 The “Candle in Remembrance”, is a world-wide observance in memory of the Holodomor, the artificial famine contrived by Joseph Stalin, and in memory of other victims of political repression. 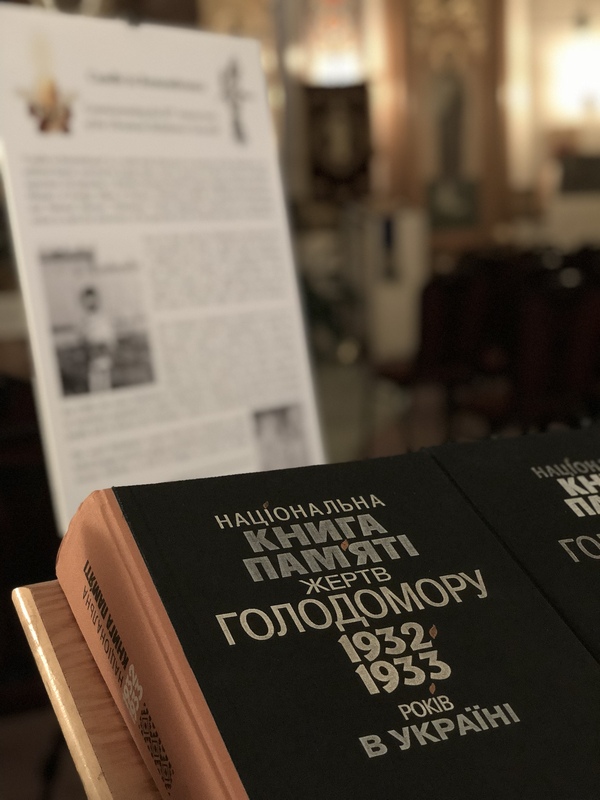 On September 1, 2018 the Ukrainian World Congress, together with its partners, Ministry of Foreign Affairs of Ukraine, Ukrainian Institute of National Remembrance and National Museum “Holodomor Victims Memorial”, launched the international action to mark the anniversary of the genocide of the Ukrainian people, the Holodomor. 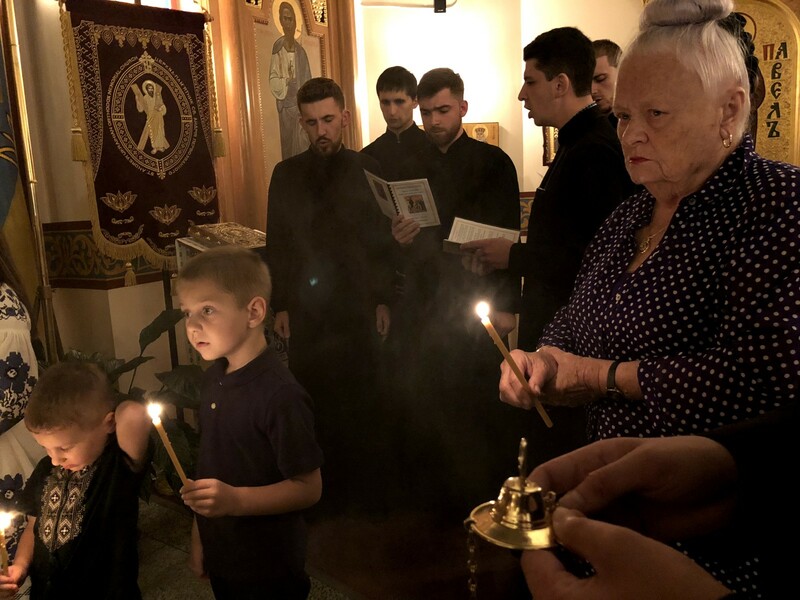 The remembrance flame began its 85-day journey across five continents in Kyiv, Ukraine on September 1, 2018, at the National Museum “Holodomor Victims Memorial” and will conclude on November24, 2018 in conjunction with the Ukrainian national commemoration of the 85th anniversary of the Holodomor in Kyiv.In the USA,the “Candle of Remembrance”campaign began October 1, 2018 on the West Coast and worked its way to the east coast by October 4th. 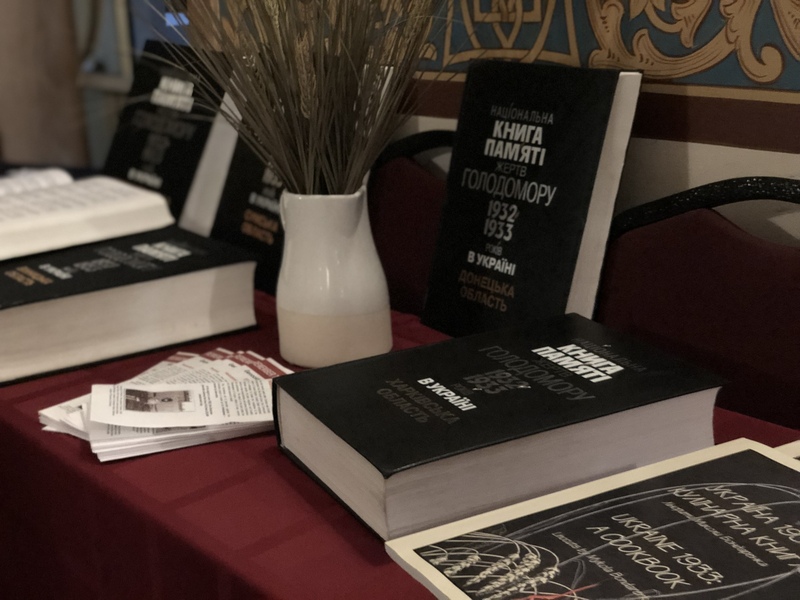 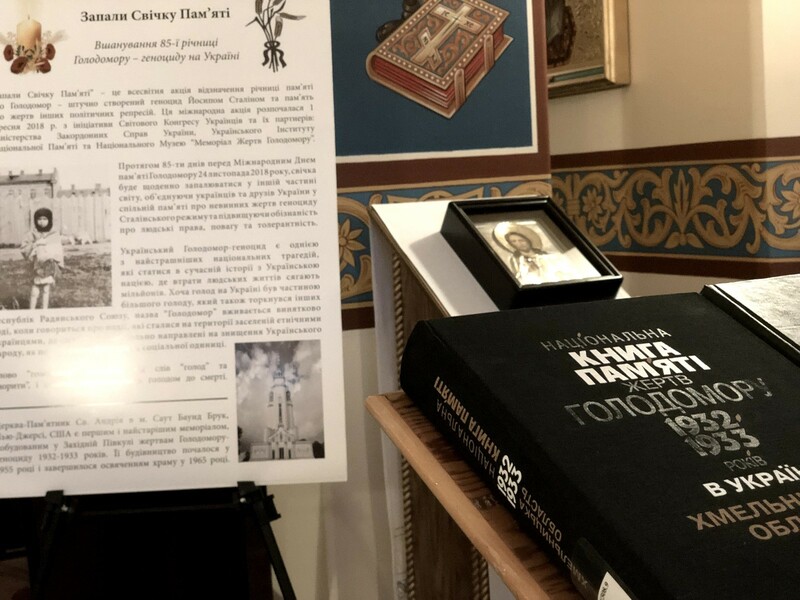 The Ukrainian Orthodox Church of USA, which is a part of the newly established New Jersey Chapter of the Holodomor Awareness Committee, hosted the event on October 4that St. Andrew Memorial Church. 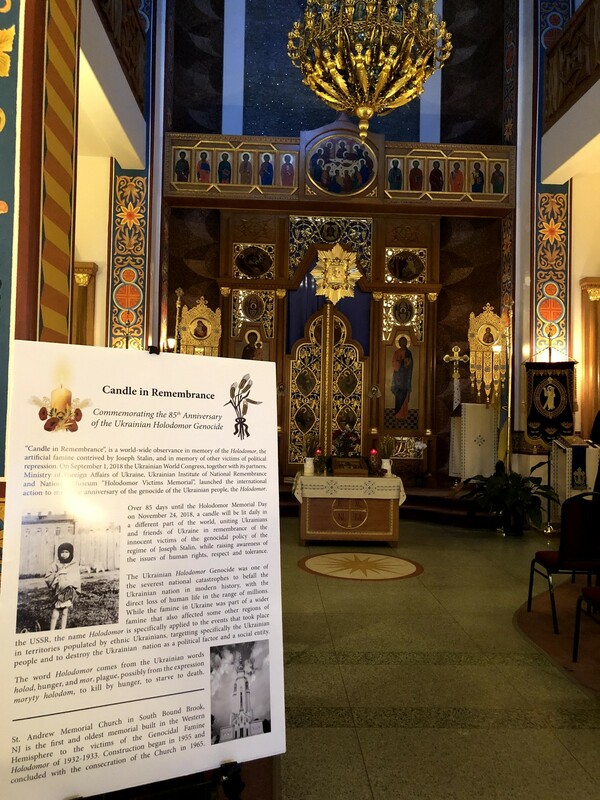 St. Andrew Memorial Church is the first and oldest memorial built in the Western Hemisphere to the victims of the Genocidal Famine Holodomor of 1932-1933. 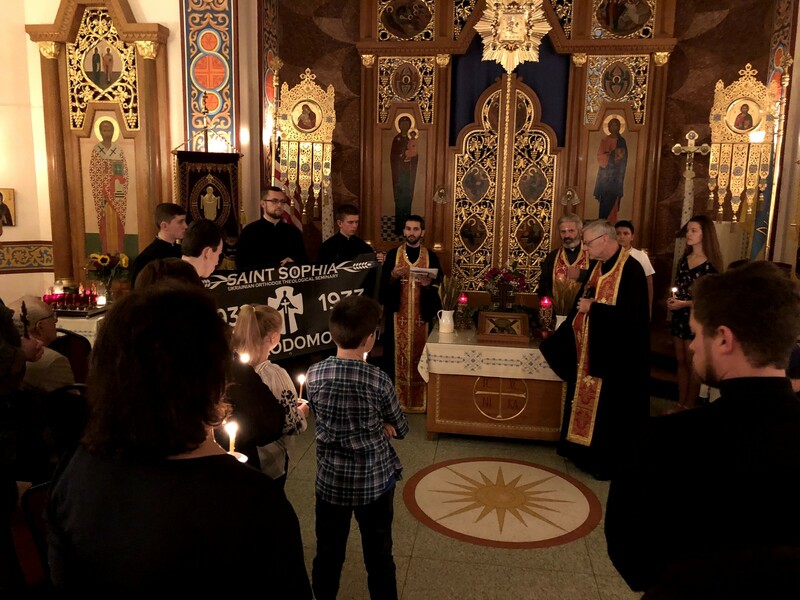 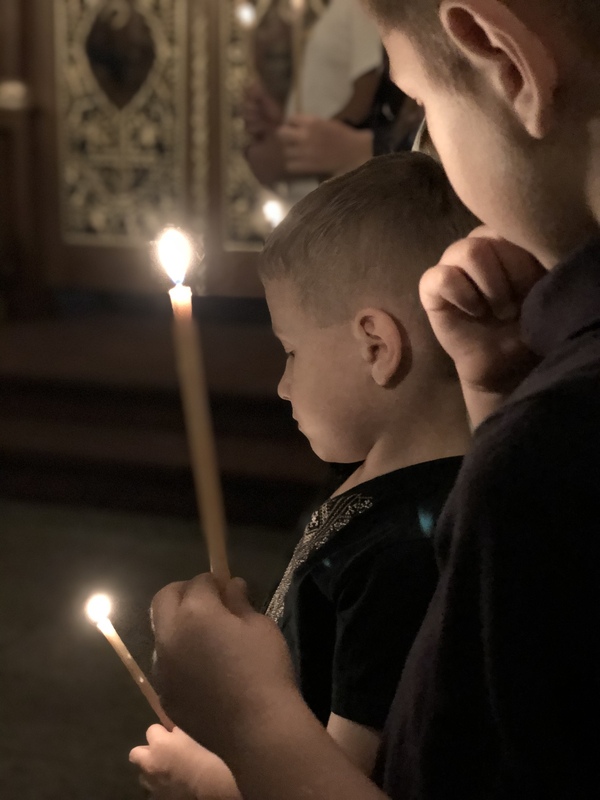 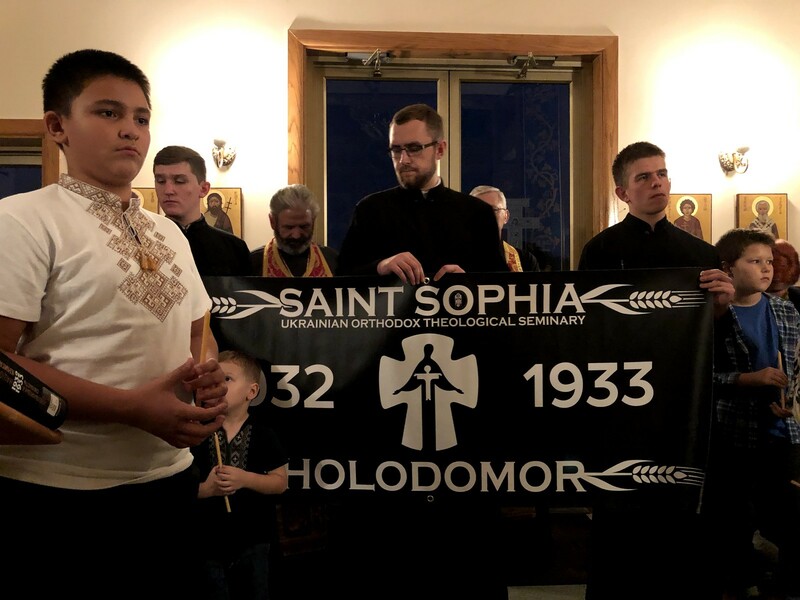 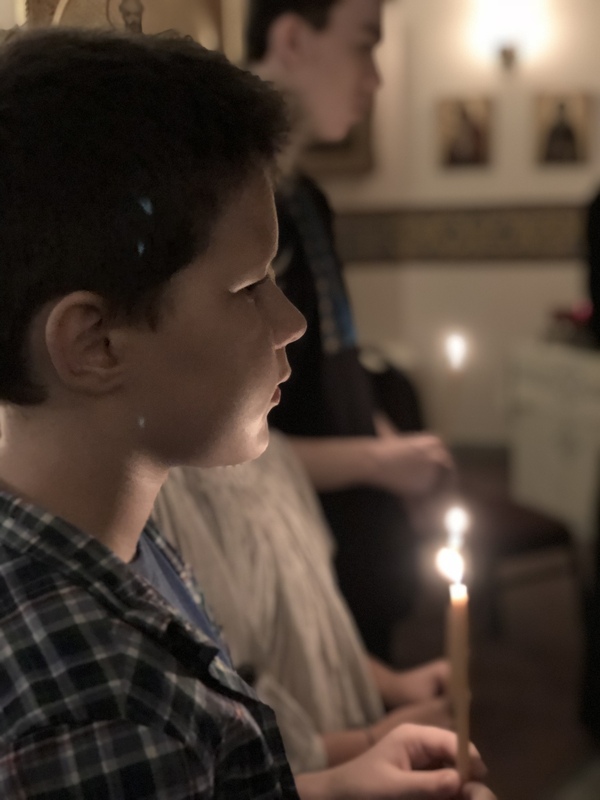 The event began with a solemn procession to the front of the church, led by students of the local Ukrainian School carrying lit candles, Seminarians of St. Sophia Seminary carrying their St. Sophia Seminary HOLODOMOR banner, and followed by local clergy: V. Rev. 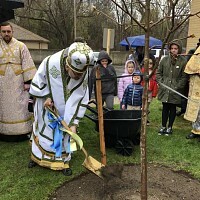 Yurii Siwko, V. Rev. 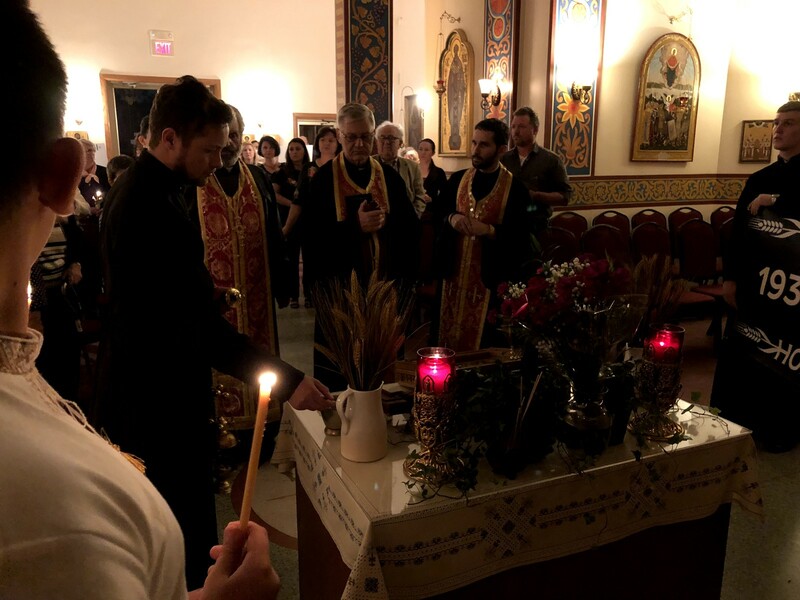 Petro Levko, and Rev. 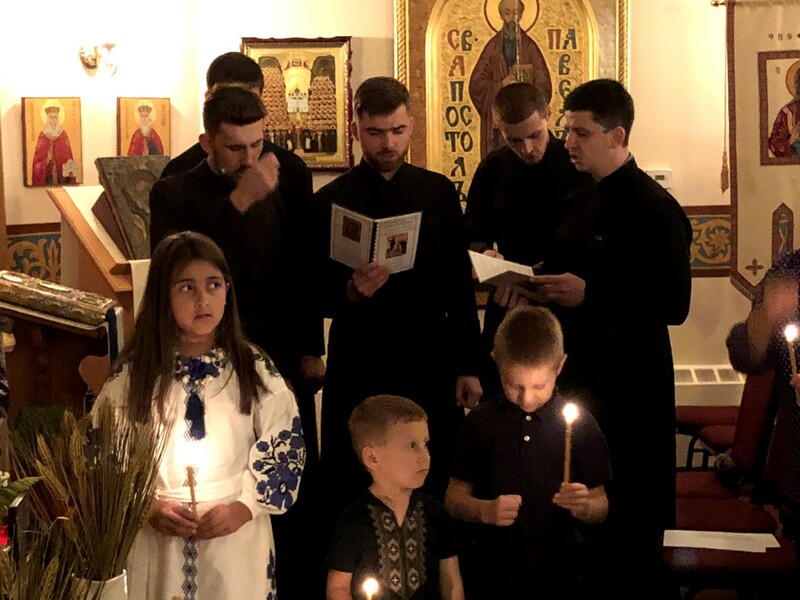 Vasyl Pasakas, and faithful gathered filling up the church. 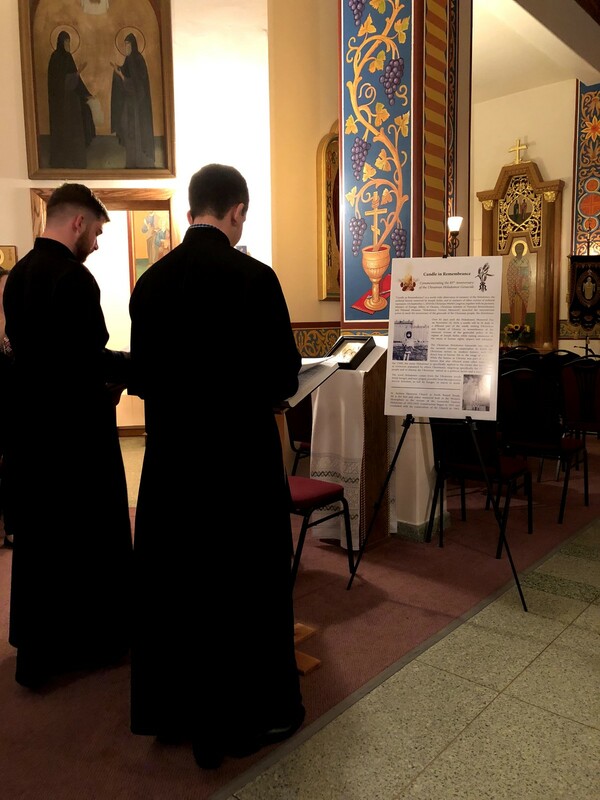 Upon reaching the front of church, 85 names (85 symbolic for the 85thanniversary) were read out loud. 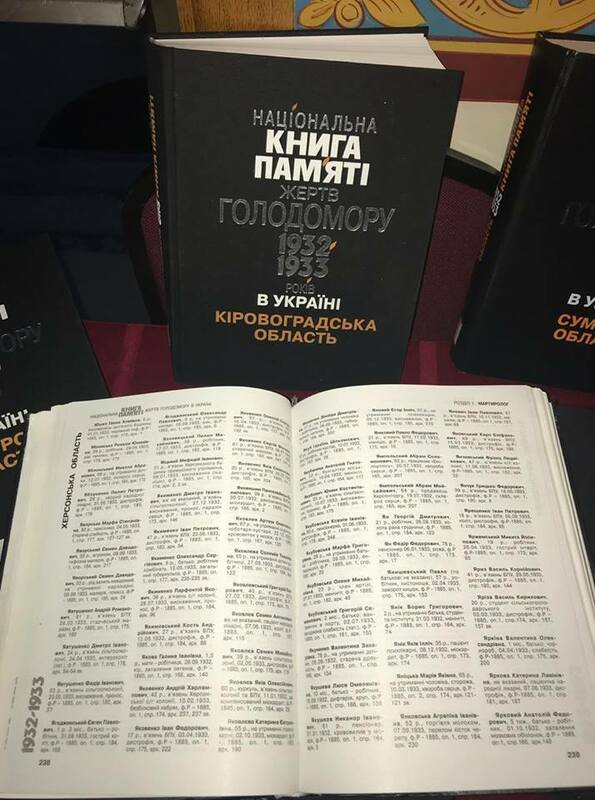 These 85 names were the names of victims of the approximate 7-10 million victims of Stalin’s genocide in Ukraine. 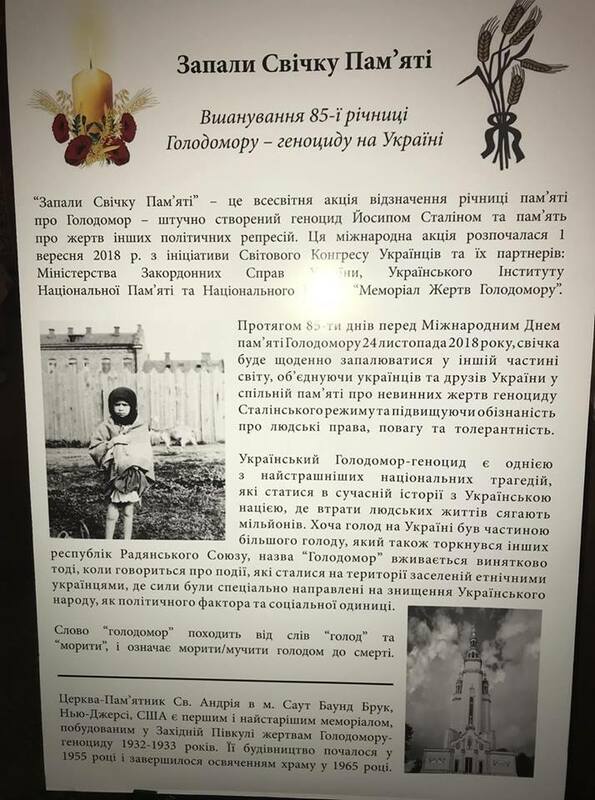 Among the listed were also children aged 6 months to 14 years. 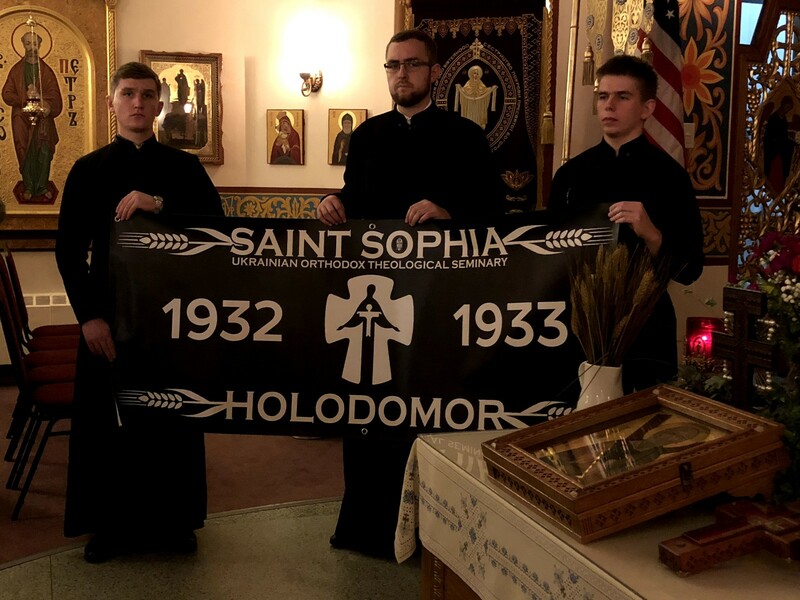 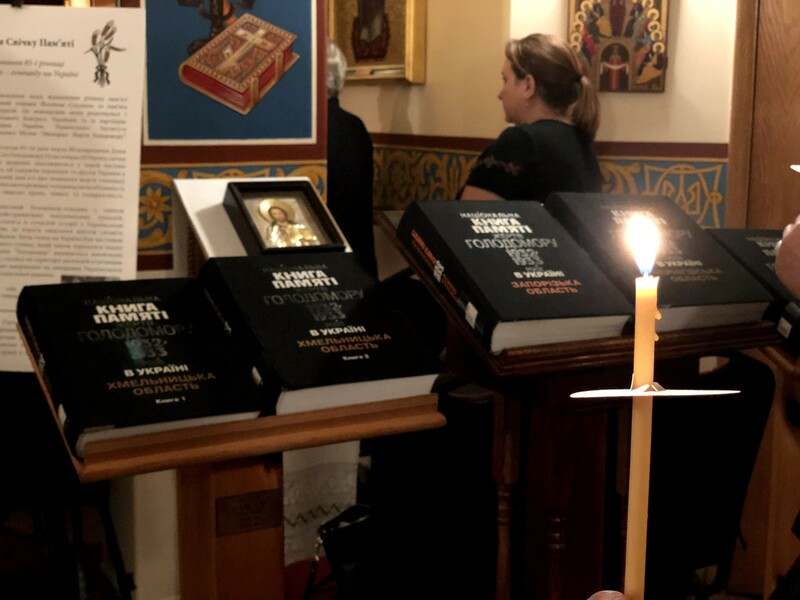 A Memorial Litia for the victims of Holodomor-genocide and other victims of political repressionswas served, concluding with “Vichnaya Pamyat” (“Memorial Eternal”) sung by the Seminarians and all gathered. 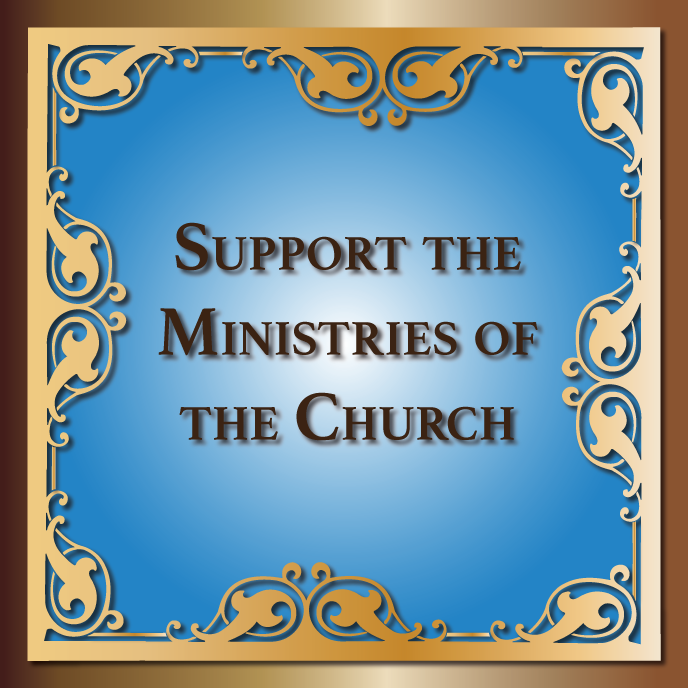 Following the Litia, Rev. 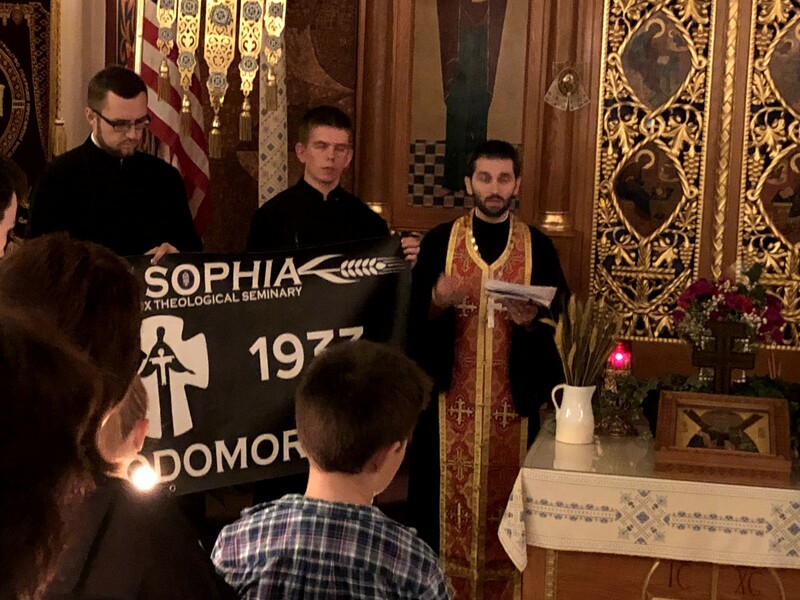 Vasyl Pasakas spoke about the “Candle of Remembrance”, and on behalf of His Eminence Metropolitan Antony, who was unable to be there that evening, offered a few words of gratitude to those who attended that evenings solemn commemoration and for their willingness to participate in raising awareness of this horrifying event in history to our local communities. 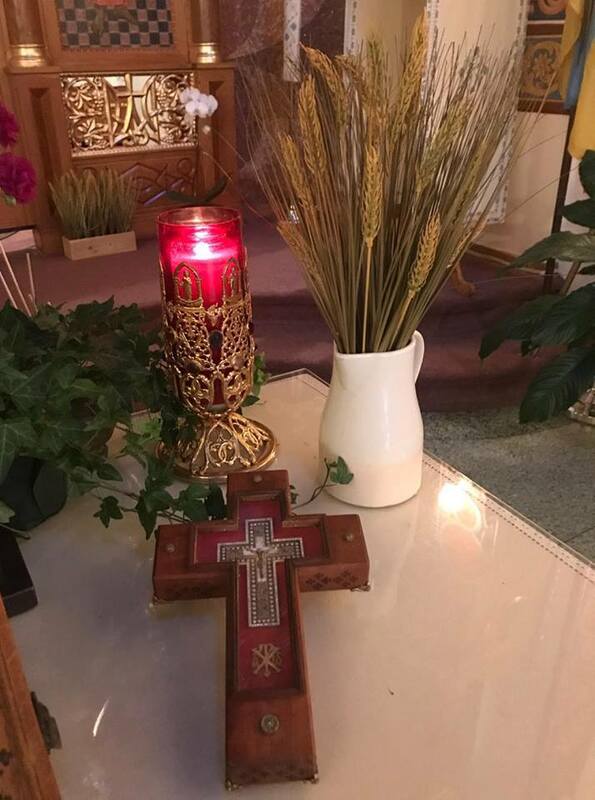 Please mark in your calendar forthis year’s annual commemoration of the HOLODOMOR in New York City and St. Patrick’s Cathedral, whichwill take place on November 17.